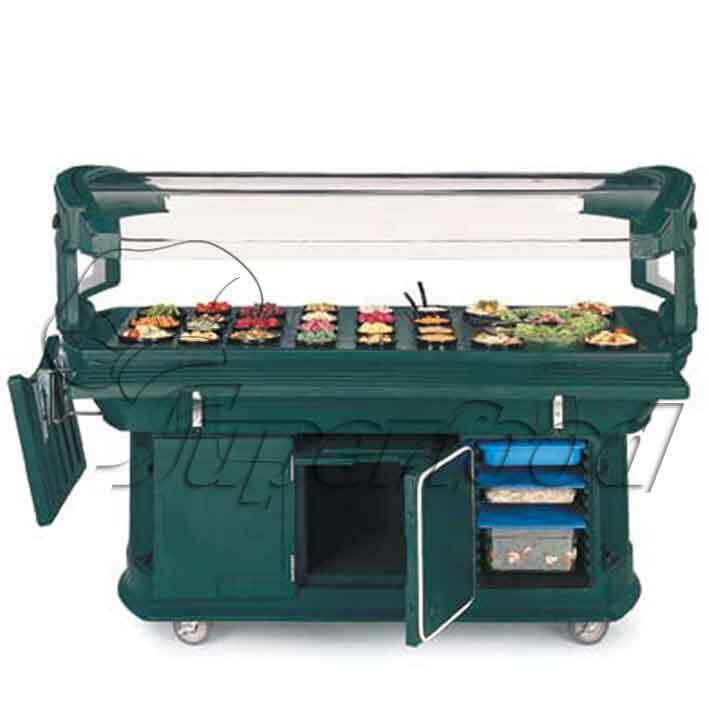 6 ft Maximizer™ Food Bar offers upscale European styling. Holds six full size food pans (20% more than any other similar system), or use with crocks and bowls. Use with ice or with Coldmaster® Standard Food Pans; to keep food at 40˚F or below for up to eight hours. Double-sided acrylic sneeze guard attaches to post with six screw-in knobs; basin and cabinet come assembled - no tools required. NSF Listed.